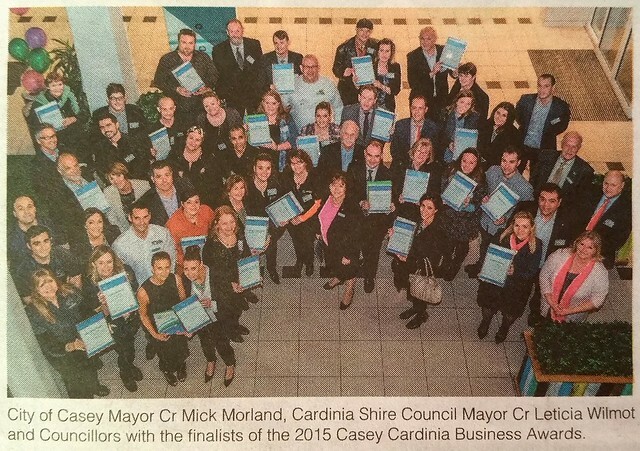 2015 Casey Cardinia Business Awards finalists announced! 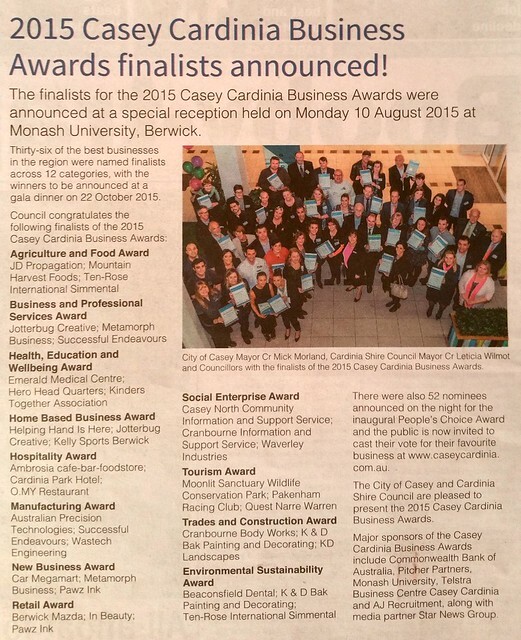 The finalists for the 2015 Casey Cardinia Business Awards were announced at a special reception held on Monday 10th August 2015 at Monash University, Berwick. Thirty-six of the best businesses in the region were named finalists across 12 categories, with the winners to be announced at a gala dinner on 22 October 2015. There were also 52 nominees announced on the night for the inaugural People’s Choice Award and the public is now invited to cast their vote for their favourite business. Helping Hand Is Here is nominated for People’s Choice Award at Casey Cardinia Business Awards 2015. Vote now at www.caseycardinia.com.au. The City of Casey and Cardinia Shire Council are pleased to present the 2015 Casey Cardinia Business Awards. Major sponsors of the Casey Cardinia Business Awards include Commonwealth Bank of Australia, Pitcher Partners, Monash University, Telstra Business Centre Casey Cardinia and AJ Recruitment, along with media partner Star News Group.